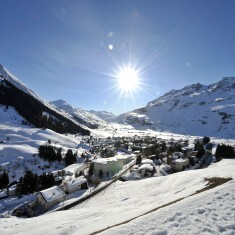 Andermatt-Sedrun Ski Circus | Andermatt-Sedrun Ski Circus | Ecosign Mountain Resort Planners Ltd. 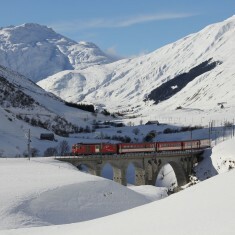 In November 2007, Paul Mathews, President of Ecosign Mountain Resort Planners Ltd. met with Benno Nager, COO of the Andermatt Alpine Destination Company AG to discuss the phased master planning of connecting the Hospental, Gemstock, Gütsch and Sedrun ski areas in Canton Uri and Graubunden, Switzerland. The first priority was to establish the existing and potential ski slope capacity for each of the areas, the technical and economic feasibility of the potential connections, and the capacity of the beds in each of the various resorts. The study area encompassed those ski areas and most importantly the land areas between totaling an area of 86 square kilometers. 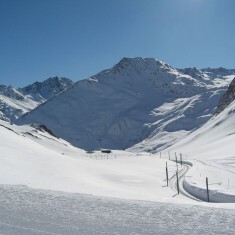 After agreeing upon an overall Preferred Master Plan Concept in 2009, Ecosign moved forward with the preparation of a detailed Ski Area Master Plan for the Andermatt-Sedrun Ski Circus; including the four aforementioned areas. The Master Plan provides detailed planning of lifts, pistes, connecting ski routes and the required village staging facilities. The overall Resort Area Master Plan includes the analysis of the tourist overnight accommodation capacity, parking, access to each skiing region and importantly, convenient lift and piste connections between each of the four primary winter sports regions. This plan also includes detailed programming for skier services both in the base staging portals and the on-mountain restaurants plus proposals for day skier portals with parking and/or train access. Finally, a detailed phasing plan was prepared which matches the current business plan.